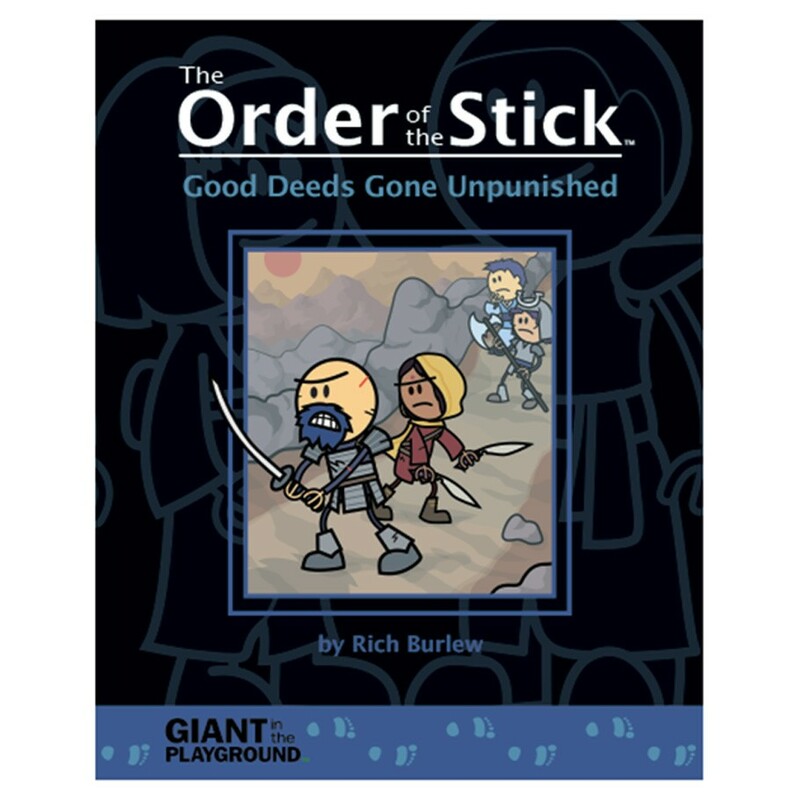 Join the good men and women of Azure City as they fight for, in, and around their homeland in Good Deeds Gone Unpunished, a new collection of stories from The Order of the Stick. This new mostly-prequel features five never-before-available stories, each starring a different Azurite character from the unjustifiably popular fantasy comic strip, The Order of the Stick. It's our longest book of original content yet, clocking in at 160 pages of black-and-white action and comedy that is not readable online.